Специальная тема News Flash разработана командой Templatic для крупных новостных сайтов. Если у вас уже есть такой сайт или вы только запускает новостной блог, то тема News Flash именно, то что вы ищите. Она полностью удовлетворит все ваши потребности как администратора сайта. Большое количество мест, где вы можете располагать свежие новости. Не настолько налазящий друг на друга контент, так как разработчики приняли во внимание, то что белого пустого пространства должно быть вдоволь, ваши посетители не запутаются в поиске и просмотре информации на главной странице. По традиции в админ панели находится менеджер по управлению рекламными местами и слайдшоу. Хороший шаблон от мирового производителя премиум тем для WordPress Templatic. Шаблон сделан для новостных тематик веб сайтов, хорошо подойдёт для Вашего блога. Красивое и в тоже время простое отображение новостей или Ваших статей, внешне впечатляет и придаст Вашему сайту хороший внешний вид. this theme features our awesome single click install feature. You won’t have to set each and everything step by step (like you do with competetor theme). Simply Activate the theme and this theme auto populates sample products, categories and does the basic settings (you can remove them with single click). It’s much easier now to understand how the theme works and all you need to do is, edit the sample products and place your own. You do not need technical knowledge. If you are in need of help, then just create a support ticket by logging in to your member area. A completely customizable header region with theme options to upload your own background header graphic and logo image. Our member control panel includes easy-installation guides with screenshots and other useful articles that allow you to use the theme to the fullest. The developer version comes with layered Photoshop (PSD) files so you can change the look and feel of the theme as much as you like! Communicate even further with your readers! Our themes use the latest features of WordPress including threaded comments and Gravatar integration. The blog and sidebar have strategic place holders that you can use to sell ad space or promote your own in-house products. Our themes are professionally coded in a way that gives your site maximum exposure to search engines. 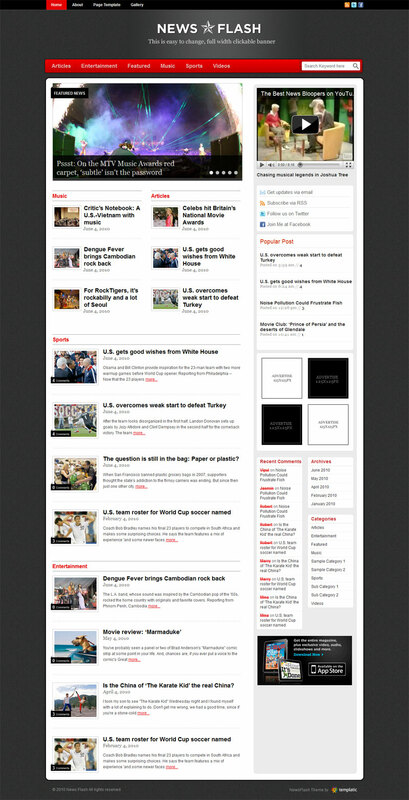 Our theme fully supports wordpress widgets. But wait! We also include custom widgets specially made for our themes to get the most out of your blog! Are your visitors using a range of browsers such as Firefox, Safari or maybe Internet Explorer? No problem! Our theme renders perfectly in all of today’s browsers, and is fully W3C standards compliant.